Stephanie Smith is the first woman elected president of the BC Government and Service Employees’ Union (BCGEU), representing 73,000 members at 550 different employers and B.C. government ministries. Stephanie was elected BCGEU president at the union's convention in May 2014, and was re-elected for her second term in June 2017. She is from the non-government sector, reflecting the diversity of BCGEU’s membership base. Stephanie has already made her mark on the union, meeting with members around the province and being consultative and connected with the union's elected officials, members and staff. Prior to being elected BCGEU president, Stephanie served three years as BCGEU treasurer. 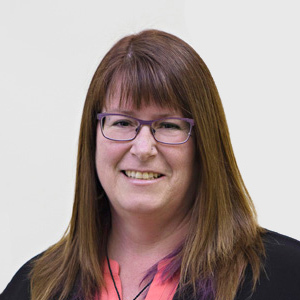 An early childhood educator by training, Stephanie began her involvement with the labour movement in 1981 – first in New Zealand, and then in British Columbia with the Children's Services Employees' Union, which merged with BCGEU in 1995/96. Stephanie comes from the community social services sector (CSS), which represents community living services, youth-at-risk, child care, women services, Aboriginal services and many other members working with B.C.’s most vulnerable. Stephanie served as first vice chair of BCGEU’s community social services component for six years and has sat on the BCGEU provincial executive – the governing body of the union between conventions – since 2008. A tireless advocate for worker rights, young workers, and equity groups, Stephanie has spoken at provincial, national and international conferences on behalf of BCGEU members. Stephanie is the very proud mother of two young adults, and resides in Richmond, B.C. Paul Finch was elected treasurer of the BC Government and Service Employees’ Union (BCGEU) at the BCGEU’s 49th Constitutional Convention in May 2014, and he was re-elected to serve his second term in June 2017. The BCGEU is the most diverse labour union in British Columbia, representing over 73,000 members at 550 different employers and government ministries. As the Chief Financial and Administrative Officer of the union, the treasurer is the second highest office next to that of president. Paul serves as the plan partner for the BCGEU and as a trustee for the BC Public Service Pension, and as a trustee for the BCGEU's Pension Plan. Since his election Paul has spearheaded several initiatives inside the BCGEU: divesting the BCGEU from fossil fuel equities to avoid the 2015 oil price crash, significantly increasing the market value of BCGEU's investments; overhauling the communications and membership database to create a new framework for utilizing modern technology to communicate with union members and the general public, and organizing a national campaign to oppose the government's Bill C-51 warrantless surveillance legislation. Prior to being elected treasurer, Paul served as a BCGEU executive vice president for a three-year term (2011-14). During his tenure, he spearheaded several financial and structural reforms to the union’s operation. In this time, he chaired the International Solidarity, Young Workers, Constitution and Structure, Strike Pay Review, Local Election Review and Convention Review committees. Paul previously served as a shop steward and executive member on the largest local in the union (1201), Ministry of Citizens’ Services joint union-management chair, and as a member of the Administrative Services Component Executive. He served twice on the Community Social Services sector Bargaining Committee. 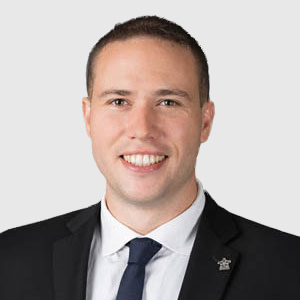 Paul has served as a delegate to the Victoria Labour Council, and on numerous committees with the BC Federation of Labour and the Canadian Labour Congress. He currently serves on the Board of Directors for several non-labour organizations, including the BC Canadian Centre of Policy Alternatives. Paul has spent years building relationships between social and labour movements, and continues to work with progressive social and labour movement forces nationally and internationally. Paul first became a BCGEU member in 2005 working in document management at the Ministry of Health. He subsequently became an Information Technology specialist at Health Insurance BC, moving back into direct government employment at the Ministry of Citizens’ Services as a Real Estate Project Administrator, and managed province-wide IT projects as a Project Analyst for the IT Project Solutions division of the Ministry. A student union leader during the early 2000’s, Paul organized numerous walkouts and demonstrations against austerity as a leader in the Camosun College Student Society and helped build strong provincial and national coalitions to democratize the student movement. As a rank and file union member, Paul helped organize wildcat sympathy strikes in support of HEU and BCTF in 2004 and 2005. He has written on economics, pensions and labour struggle, and has spoken across North America on his experiences as a student and labour organizer, and the broader challenges facing labour and social movements. The BCGEU is one of the largest and most diverse unions in British Columbia. We represent over 77,000 members in 550 bargaining units in the private sector and public services.